SECTION 1 - WHAT DO WE COLLECT AND WHAT DO WE DO WITH YOUR INFORMATION? - a portion of your payment information from your payment processor (such as the last four digits, the country of issuance and the expiration date of the payment card). If after you opt-in, you change your mind, you may withdraw your consent for us to contact you, for the continued collection, use or disclosure of your information, at any time, either by unsubscribing to our marketing list or by contacting us at admin@azurefoods.uk. Our store is hosted on Squarespace Ireland Ltd. They provide us with the online e-commerce platform that allows us to sell our products and services to you.  If you would like to: access, correct, amend or delete any personal information we have about you, register a complaint, or simply want more information, contact us at admin@azurefoods.uk.